Berlin Optical Expressions is bringing your world, and our website, back into focus. Every day we are outfitting Central Vermont with eyeglasses, contact lenses, sunglasses, and prescriptions that help you see the world in riveting clarity. And now we’ve finally done a little something to spruce up how you see us online! Our BRAND NEW websight at www.oeberlin.com is up and running! Visit our website to find out all you need to know about our staff, our services, how to find us, what to expect, and why Berlin Optical Expressions is Central Vermont’s premier destination for all your eye care services. Berlin Optical Expressions is a family optometry practice founded on a commitment to personal, professional eye care, attention to all of our patients’ individual needs, outstanding customer service, and providing you the best eye care experience possible. 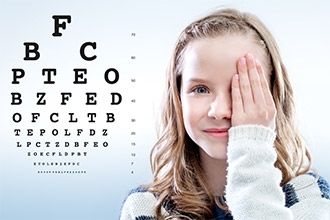 We are a team of thoughtful, friendly eye care professionals – eye doctors, optometrists, and opticians, that truly care about how you see the world, and how the world sees you! Check out the website, and come back often. We’ll be posting to the blog as regularly as we can to keep you in the loop on what we’re up to, what we’re thinking about, what new styles are coming on line, what frames are really hot this year, how to care for your eyes, and how close you can sit to the television without ruining them! We are still asking that question, aren’t we? More importantly, come visit us in person! We’re located in the Berlin Mall, between Fisher Road and VT Route 62. Come try on frames, talk to our professional opticians, make an appointment, and find out how we can help you see better and look sensational.